The morning continued with a make up demonstration by freelance MUA Kate Mc Cormack who you’ll find on Instagram here. 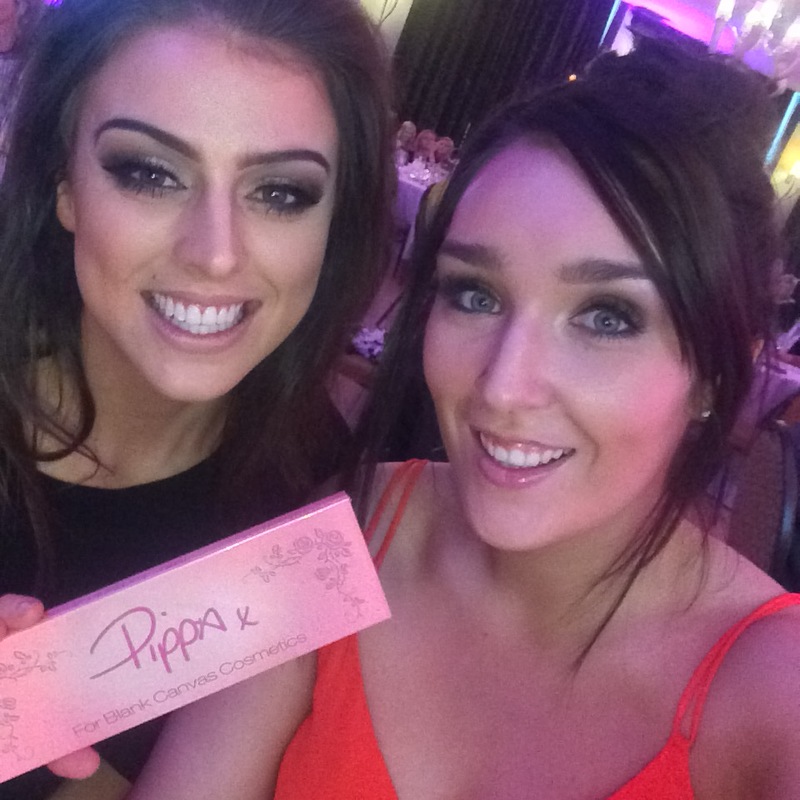 She created a stunning everyday make up look which featured Pippa’s Palette by Blank Canvas Cosmetics. Of course I had to then go & buy a palette from the stand – I’m a sucker when it comes to things like that but it has been something on my must-buy list since it’s release 🙈 First impressions; I LOVE the highlighter in it but I’ll do a proper review of the palette when I’ve given it a proper trial. Pippa and Kate shared an absolute wealth of beauty tips and tricks during the demo. My notepad was almost full with pointers from this part alone! Pippa then shared her skincare routine with us and ran through some of her favourite beauty products which featured everything from cult products like Cocoa Brown’s 1 Hour Tan to Garnier’s new Miracle Wake Up Cream. In the past year I’ve personally realised the importance of a good skincare routine so I love to hear what people like Pippa use as her skin just looks flawless and she has such a glow! (Pregnancy could be contributing to that also but I definitely won’t be experiencing that anytime soon!!! haha) We then broke for the most delicious afternoon tea I think I’ve ever had. The food in Seafield is unbelievable, it’s definitely worth a visit if you’re ever in Gorey. 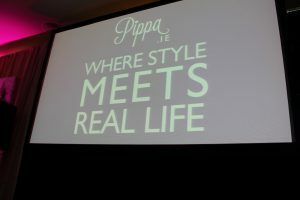 Pippa then ran through her wardrobe staples and advised us on how to make the most out of what’s in your wardrobe. She gave some really practical tips that will come in handy and applied to absolutely everyone, I think that you can never stop learning about fashion and style myself. Hair and make up artist Sue Brophy then did a hair demo on stage. I’ve followed Sue on Instagram for a while now, (I think it was actually after Pippa shared a snap of her make up done by Sue), so I was so excited to see her work in action but what actually blew me away was her extensive knowledge of hair care 😱 She shared some tips with us that genuinely amazed me – I’ll never wash my hair the same way ever again!! 🙆🏽😂😂 Sue created a quick and easy loose curl look and also taught us the secret to backcombing your hair perfectly. 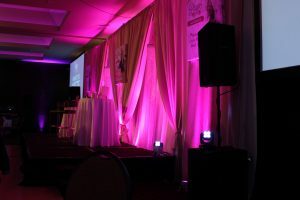 She was so bubbly and had the entire room laughing which was great and made it so enjoyable – you can follow Sue on Instagram here. When the workshop came to an end we had the chance to meet Pippa for a picture and chit chat which I thought was so nice of her, she took the time to meet every single person that came to the stage which she didn’t necessarily have to do and she had a couple of nice words for each of us. In my opinion Pippa is a genuinely lovely lady, super down to earth and she has been, and continues to be, one of my biggest inspirations. I didn’t want to give away too much about the workshop in this post so as not to ruin it for anyone going to the upcoming ones across Ireland but I still wanted to give a little insight into them for anyone that may be hoping to go to one when Pippa announces dates in the future. If you’re in two minds, I would definitely recommend going to it. You don’t have to be a massive beauty buff or fashionista, Pippa and her team cover absolutely every angle and there are plenty of opportunities to ask questions so you are sure to learn a lot which is one of Pippa’s main objectives for the ‘Fashion Factories’. 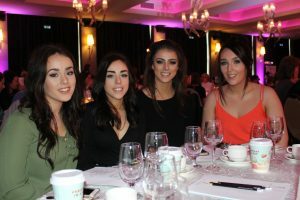 So definitely keep an eye on www.pippa.ie for future dates, grab your girlfriends and make a day of it! 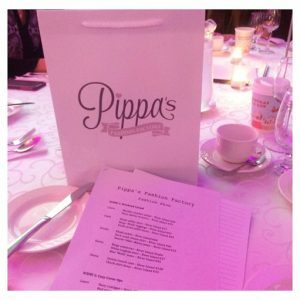 You can get me on Facebook, Instagram and Twitter to let me know what you think; are you dying to go to Pippa’s Fashion Factory now; who else loves Pippa’s blog?! I’m looking forward to reading your comments girls!